All this “feeling good” stuff….how hard is it when you do not “Feel Good?” Very hard. That is, until it is not. So, getting back to this ‘feeling good/feeling bad situation…when we feel bad, we are literally, and I mean LITERALLY, projecting ourselves into a different dimension…yes, you read correctly, a different DIMENSION….meaning that how we ‘FEEL’ vibrates at certain frequencies, and we literally project ourselves into a dimension that looks like the same place, but is quite different. Different meaning that we will experience a different outcome than another dimension that looks just like this one. So, we basically ARE a time machine….we just didn’t know it. We go about, allowing life experiences to ‘cause an emotion,’ that we feel completely powerless over, and then we REACT, and then we have a feeling about it, sometimes a very bad feeling, or sometimes a very good feeling, depending on the event. We then look at it a certain way (our perspective, which become our perception), and THINK about it, and FEEL a certain way about it, and then we literally “blink” and we have transported into a dimension that we have no idea we have projected into…..So, we go about our day, and sometimes we have these “great days,” and sometimes everything that can go wrong, does….and we ask ourselves, “why.” Or worst yet, we start complaining about it to everyone, and then we continue to feel bad about it, and then we have another bad day; and sadly sometimes it continues….ALL OF OUR LIFE! We are Energy. We are a completely Loving Energy. What we feel we create, that is, we transport ourselves into a dimension that matches our ‘feelings,’ and that can be very bad or very good. And in each dimension, different outcomes, different events occur; also different treatment from the same person can change, and does. Imagine what is possible if we are in the most loving state of mind…Loving everyone and everything and……loving ourselves? Blessings to all…..and remember………….FEEL GOOD! 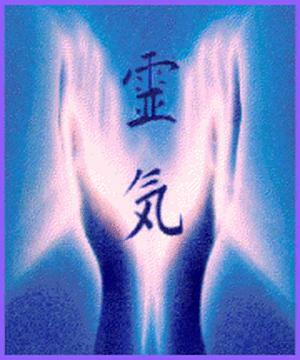 For the “thousand years of peace” is a dimension that is entered into by feeling good and feeling/Being…….LOVE.